He was at Cambridge City in 2005/2006 and was a fans favourite making 30 apperances scoring 7 times . Molesley scored one goal in 38 games for the Aldershot during a spell at the EBB Stadium in 2006-07. He represented England C 4 times while playing non-league football. In 2007/08 he was at Stevenage and the following year was signed by Grays. He was signed for Bournemouth in October 2008 and played his 1st match in the 2008/09 season, in the next four seasons he played 52 apperances scoring 5 goals. In November 2012 he joined Plymouth on loan and played 5 games for them, returning to Bournemouth in early January 2013. 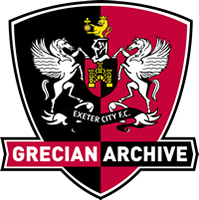 He joined Exeter from Bournemouth in late January 2013 and played 11 games for the Grecians, before being injured in April in the 4-1 defeat at Rotherham. In 2013 he signed for Weymouth, making 40 apperances before he was appointed as manager in 2017.